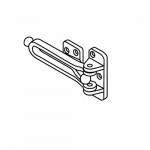 PDG88 Cal-Royal Swing Bar Door Guard w/Protective Rubber Insert on Both Sides of ArmMaterial: Die Ca..
SBDG00 Cal-Royal Door Guard Solid Brass w/Angle Protector 4 3/4"
SBDG00 Cal-Royal Door Guard Solid Brass w/Angle Protector4 3/4" Arm LengthBall BearingQuantity disco.. 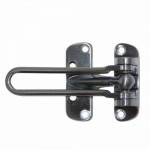 The Trimco 4016 Swing Arm Door Guard is a hinged bar that allows guard to be positioned 180º away fr.. 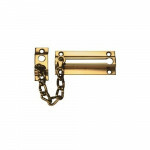 The Ives 481 Brass Chain Door Guard permits the door to be slightly opened to allow viewing. 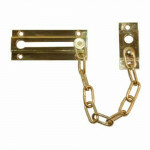 Mee..
Don-Jo 1607 Chain Guard for Wood or Metal Doors. 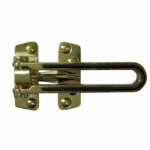 (Carded) Material - Cast Brass 6 ea. 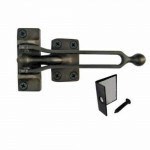 #8..
Don-Jo 1603is a Flip Bar Door Guard for Wood or Metal Doors. (Carded) ANSI - L33042 -Material..